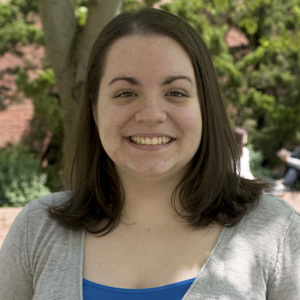 Mary Elizabeth Cole, valedictorian of UMBC’s class of 2012, is a true Renaissance scholar. She is a Humanities Scholar double-majoring in cultural anthropology and biology who has shined in both fields. Mary Beth has sought out a range of research opportunities at UMBC, gaining early experience in UMBC’s Ecology and Evolution Lab. This prepared her for more independent research at the National Institutes of Health. She later completed archaeological field and lab work at colonial and prehistoric American Indian sites in southern Maryland. Mary Beth creatively wove together her interests in cultural anthropology and biology through study abroad at the University of Kent in Canterbury, England, where she completed human osteology coursework to prepare for graduate school. 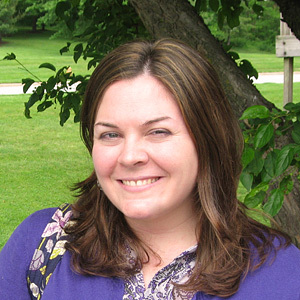 She has been awarded a fellowship for the biological anthropology Ph.D. program at The Ohio State University, which focuses on the history and patterns of disease as discerned through skeletal remains. In addition to pursuing an academic career, Mary Beth hopes to assist military and archaeological groups on post-conflict skeletal recovery. Mary Beth has given back to her community by helping with local speech and debate tournaments for home-schooled teens; tutoring students in chemistry, math and SAT preparation; and participating in Scholar Selection Day and other prospective student events at UMBC. As the salutatorian of the class of 2012, Robert Wardlow’s career at UMBC has been full of accomplishments. 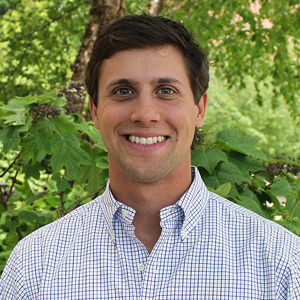 A Meyerhoff Scholar, Barry M. Goldwater Scholar, Howard Hughes Medical Institute Scholar and Rhodes Scholarship finalist, he has presented his research at 12 conferences and symposia, earning numerous awards. Robert’s research focuses on chemical signaling of heart cells and the potential of certain stem cells for providing therapeutic benefits for damaged cells. Excellence in scholarship is intimately connected to community service for Robert. He co-founded the student group Men Achieving Leadership, Excellence and Success (MALES) to promote community activism, leadership and academic excellence. Robert’s accomplishments have earned him admission into the Phi Beta Kappa, Phi Kappa Phi and Golden Key International honor societies, and he received the HHMI Gilliam Fellowship for Advanced Study. 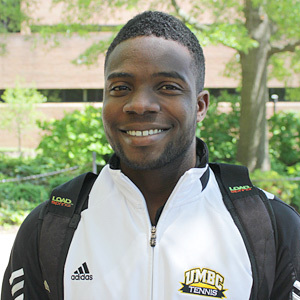 Joseph Adewumi pursued two things during his time at UMBC: success on the tennis court and a medical career. Having achieved his first goal while here, he leaves UMBC well on his way to the achieving the second. Joseph was named to the America East All-Academic Team for tennis in 2011 and 2012, and was named an Arthur Ashe Jr. Sports Scholar by Diverse: Issues In Higher Education magazine in those same years. He also earned America East All-Conference First Team Honors, and received the Matt Skalsky Outstanding Scholar Athlete Award. Jeremy	Brickey will be recognizable to this fall’s incoming freshmen: he was one of the faces of the “UMBC Superheroes” ad campaign. 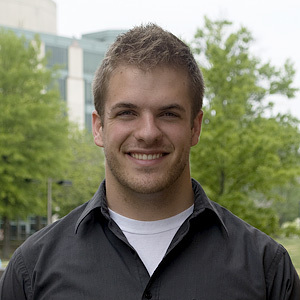 Jeremy made his time at UMBC “super” by being involved in many facets of campus life. He is a member of the rugby team and on the rugby executive board; he was the president of the Sigma Alpha Epsilon fraternity, and won the UMBC Greek Man of the Year award in 2010. A Linehan scholar, Jeremy was published in Bartleby, UMBC’s literary magazine. In addition to being a “superhero,” Jeremy reached out to prospective students as a student ambassador and worked as a Woolie to help incoming students. As the 2012 Student Alumni Association founder and president, Jeremy will continue to make his mark on UMBC long after he graduates. Erin Butler pursued two very different majors while a student at UMBC, and achieved excellence in both. She did research in labs at Johns Hopkins, for instance, and won the History Department’s essay contest. Erin is a Meyerhoff Scholar, Maryland Distinguished Scholar, Byrd Scholar, Maryland Senatorial Scholar and Maryland Delegate Scholar. Outside of her academics, she is the founding president and event chair of Relay for Life at UMBC, which raised over $26,000 this year for cancer research and patient support programs. After graduating, Erin hopes to practice as a pediatrician in a community health setting. Plans: Full-time job at Humanim, Inc.
As a member of psychology professor Robert Provine’s lab team, Marcello Cabrera has had research opportunities not available to undergraduate students at other universities. He coauthored a research article published in Ethology, an international journal of behavioral biology, and presented his research at the 2011 Society for Neuroscience Meeting in front of scientists from around the world. 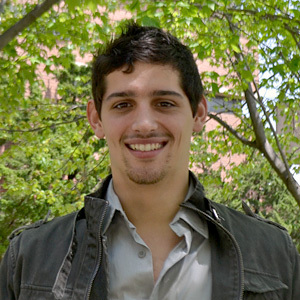 Along with research, Cabrera has achieved other academic success: he is a member of Phi Beta Kappa and received the Distinguished Scholar in Psychology Award in 2011 and 2012. He was on the president’s list five semesters throughout his undergraduate career, and received an Undergraduate Assistantship Support Award in 2010 and a Lowes Company Inc. Scholarship Award in 2012. "I’ve had opportunities at UMBC that I couldn’t imagine having anywhere else. As an undergraduate, I’ve had the opportunity to pursue research at the highest level, actively learning and developing critical skills along the way. The staff, faculty and students have challenged, supported and encouraged me throughout my experience. UMBC has brought out the best in me and has empowered me with the means to achieve my future goals." Miguel Calderon seems to be everywhere at UMBC, even appearing in university advertising for its “superheroes” admissions campaign. He has been featured as a speaker at UMBC’s Visit Day, Talented Hispanic Student Night, New Student Day, and spring Convocation. A four-year player on the varsity men’s soccer team, he was team leader in his junior and senior years. 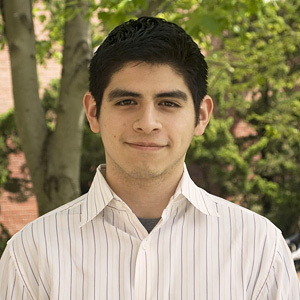 Off campus, Miguel has gained experience as a Shattuck Family Entrepreneurial Scholar, interning with the Mayor’s Office of Baltimore City, and at Feats, Inc., as a graphic design intern. He counts among his mentors UMBC President Freeman Hrabowski. Laurentina Cizza has had a tremendously far-reaching UMBC experience. In her first year at UMBC as a Sondheim Public Affairs Scholar, she tutored teens who recently immigrated from Burma/Myanmar through the Foreign Immigrants Resettlement Network. In the last two years alone, she has served as a Department of State intern in Florence, Italy, and studied Arabic in Jordan while conducting an Undergraduate Research Award-funded study on the national identity of Jordanian youth. Laurentina has also excelled academically as an Honors College Scholar, Blaustein Scholar and Political Science Department Outstanding Scholar 2012. Prior to entering graduate school, she plans to continue her Arabic language studies in Morocco, through funding from the U.S. State Department’s Critical Language Scholar program. "All aspects of the UMBC experience, from the diverse student body to the academic and personal support provided by the professors, have fundamentally shaped me, my interests and my future plans. Attending UMBC allowed me to interact with people from all over the world every day, shaping me in unexpected ways. The friends and mentors I encountered at UMBC have shaped me and my life more than any other group of individuals I had encountered before." While pushing herself to excel in her academic life, Elisia Clark also pursued community service opportunities. A Meyerhoff scholar and Howard Hughes Medical Institute scholar, she interned at UMBC, Harvard and the University of Pennsylvania. 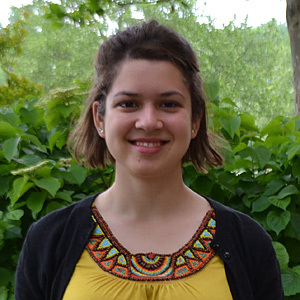 Elisia was also a MARC U STAR trainee, a member of Omicron Delta Kappa and the Golden Key International Honor Society, and a recipient of the biological sciences department’s Dietrich Award. She presented research at Undergraduate Research and Creative Achievement Day, UMBC Summer Research Fest and other conferences. As a lifetime member of Girl Scouts, community service is important to Elisia, and she worked with the Shriver Center to mentor children in Baltimore, serve as a judge for the Prince George’s County science fair and volunteer at the Maryland Food Bank. In addition, she participated in dance groups, sang in the UMBC Gospel Choir and bowled in a bowling league. Juan Collazos moved from Colombia to the United States at the age of 12. Experiencing the economic and social challenges facing new immigrants and witnessing economic disparities between the U.S. and Latin America shaped his interest in economics and international development. 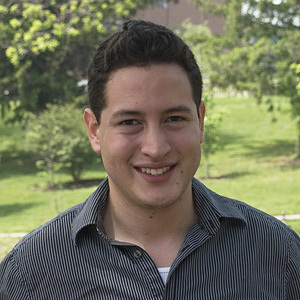 At UMBC, Juan has participated in both the Sondheim Public Affairs Scholar Program and Ronald E. McNair Post-Baccalaureate Achievement Program. He won an Institute for International Public Policy Fellowship, which enabled him to study at distinctive summer institutes. In addition to speaking English and Spanish, Juan studied Arabic and French in Morocco. Closer to home, he has volunteered with My Brother’s Keeper in Baltimore. At UMBC he has served as a Student Government Association senator, assistant director of the Office of Diversity and associate vice president for student organizations, where he supported the creation of the Retriever Learning Center and Prove It!. 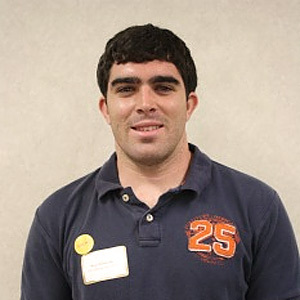 From 2008 through 2011, Juan also competed as an oarsman on the UMBC crew team. "What makes UMBC special is its fascinating combination of people who, despite their very diverse backgrounds and equally diverse goals, have outstanding commitment as their common denominator. Due to the unconditional support of the UMBC community, I have been afforded life-changing experiences that have allowed me to grow intellectually and opportunities to collaborate to make a positive difference on campus, locally and internationally. This UMBC-fostered commitment will undoubtedly follow me for the rest of my life." As UMBC’s Student Government Association president, Catie Collins has been a voice for her fellow UMBC students in responding to campus news, such as when President Freeman Hrabowski was recently named one of TIME Magazine’s “100 Most Influential People in the World.” Catie has been an influential person, as well: she is the nation’s only undergraduate student on the steering committee of the American Commonwealth Partnership, a position that earned her an invitation to the White House last fall. 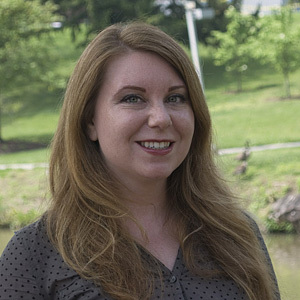 Catie has also been instrumental in planning BreakingGround, a campaign to highlight UMBC courses, events and activities that embrace a culture of civic agency that will launch this fall. 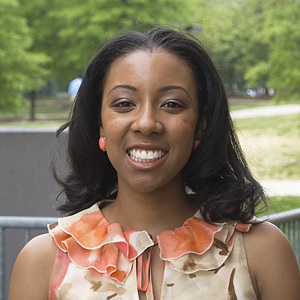 Catie also serves as a student justice on the Student Judicial Board and was the vice president of the UMBC Stilettos. 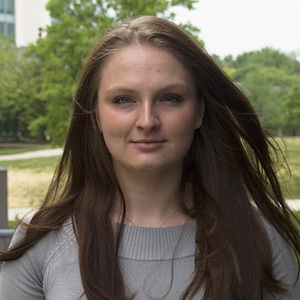 At UMBC, Oana Coman followed her passions both in and out of the classroom. 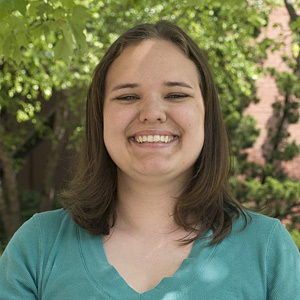 As a Meyerhoff Scholar double-majoring in math and music, she was recognized as an outstanding graduating senior in mathematics and an NSA Scholar, and received both the 2010 Shirley C. Sorensen Academic Excellence Award and 2011 AGU Fall Meeting Student Travel Grant Award. Outside of the classroom, Oana was a part of the women’s club volleyball team, both as a player and coach in local and national tournaments. Christian Demeke used his time at UMBC to gain work experience through internships and on-campus employment  a strategy that paid off with his acceptance to a leadership program at General Electric (GE). 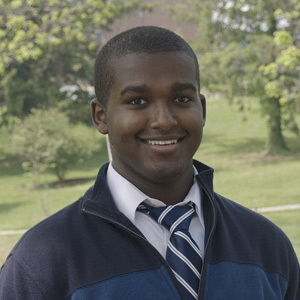 Christian interned at GE as well as with the National Institutes of Health and Montgomery County Public Schools. He also worked for four years in the information systems department as a student system administrator  a position that allowed him to work alongside professors and doctoral students in their research and even be named in several published journal articles. In addition to his work experiences, Christian is a member of the student government association, the Lambda Chi Alpha fraternity, the information systems council of majors and the Paul’s Place center in southwest Baltimore. Many students at UMBC pursue studies in multiple disciplines or take a healthy interest in athletics, but Stephanie Ellis did both. She has challenged herself not only in her studies—a graduate of the B.F.A. program in Visual Arts, she double minored in Art History and Print Media—but also with her athletic achievements. She’s a nine-time national competitor in figure skating, and prior to attending UMBC competed in the Olympic Trials. Clare Greene has worked full-time as a service-learning program coordinator with the Shriver Center during her graduate studies and has used each experience to enrich the other. During her student teaching internship, for example, she helped create the unit project “Confronting Poverty through Writing,” which focused on teaching students how to become responsible, active citizens in their communities. While at UMBC she has served on the President's Commission for Women and has become member of Omicron Delta Kappa, one of the most highly regarded national leadership honor societies. In addition to teaching, Clare hopes to research issues around literacy and language in the classroom through a future Ph.D.
Ted Gross completed his M.A. in Management of Aging Services at UMBC’s Erickson School while also serving as director of senior services at the Govans Ecumenical Development Corporation (GEDCO). At GEDCO, Ted has been highly instrumental in the development of the Green House Residences at Stadium Place, a new model of residential long-term care for older adults conceived by Erickson School faculty member Bill Thomas. Prior to joining GEDCO, Ted served as program director for the Harry and Jeannette Weinberg Foundation, managing grant programs relating to older adults, community development, education, workforce development and youth development. 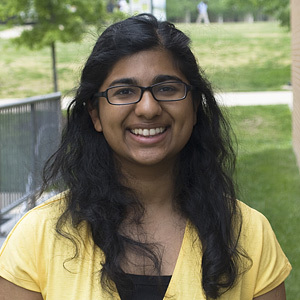 Rachana Haliyur set out to take full advantage of the academic opportunities available at UMBC and become a highly involved scholar. She served as vice president of the Golden Key Honour Society and president of Phi Sigma Sigma, as well as interning at Harvard, Yale and New York University. 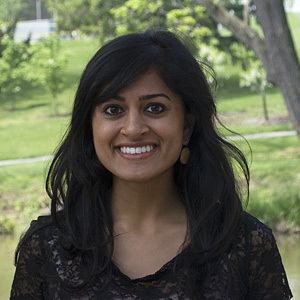 Rachana received the Erin Michelle Say Memorial Scholarship, the Phi Sigma Sigma Individual Scholarship Award, the Roger Michael Davis Endowed Scholarship and the Greater Baltimore Panhellenic Association Scholarship, and she won the Yale Undergraduate Summer Research Poster Session Award. She was also named Greek Woman of the Year for 2012. “While at UMBC I learned that you really are the change you wish to see in the world,” says Maddy Hall. “I made UMBC my world and was given the ability and support to make immense positive change.” As the Student Government Association’s director of environmental affairs and the vice president of Sustainability for the Students for Environmental Awareness, Maddy brought composting to True Grits, turning seven tons of waste (to date) into fertilizer for the campus’s trees. 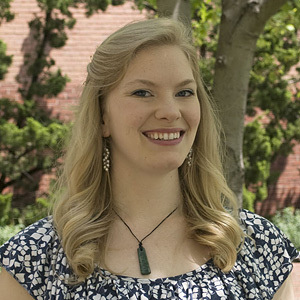 Maddy’s academic career blossomed along with the campus’s environment: she’s a member of the Honors College and a Sondheim Scholar, and she received the Outstanding Senior Award from the department of geography and environmental systems. Maddy also interned at the Environmental Protection Agency and studied abroad in New Zealand, where she will return to do research if she is named a U.S. Student Fulbright Scholar (she is currently an alternate). Not many undergraduate students appear on stage at the Kennedy Center in Washington, D.C., but Katie Hileman did just that in 2011 when UMBC’s production of Las Meninas by Lynn Nottage was selected for the American College Theater Festival. One of the principal actors in the production, she was offered to reprise the role in her first professional show at Rep Stage in Columbia, Maryland, in 2012, and by the time she graduates she will have performed in three professional theatres, including Baltimore’s CENTERSTAGE. She was nominated for an Irene Ryan Acting Scholarship at the 2011 Kennedy Center American College Theatre Festival. An exemplary student, Katie has been on the dean’s list since her arrival on campus, has twice received the Department of Theatre Scholarship, and will be receiving a Student Achievement Award for her roles on stage. 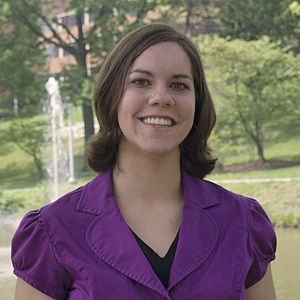 Eva Jannotta’s time at UMBC was characterized by her academic accomplishments. As a humanities scholar and scholarship recipient, she was a high achiever before she even arrived on campus. She went on to join the National Society of Collegiate Scholars and Sigma Alpha Lambda Honor Society, and she was inducted into Phi Beta Kappa in 2011. 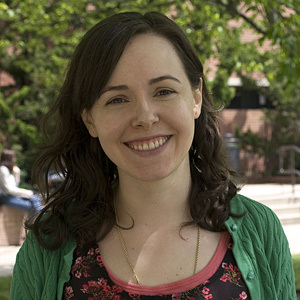 Eva received the Jo Ann E. Argersinger Academic Achievement Award for gender and women’s studies and the English department's Shedd Award in 2012. 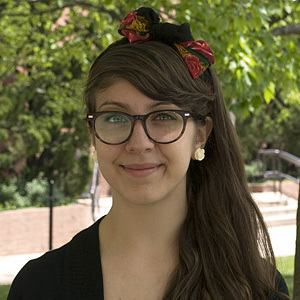 Research and service were also a large part of Eva’s UMBC experience: she was an Undergraduate Research Award recipient and an honors thesis student, and received the Angela Houtz Award for Service to the UMBC Community and the Joan S. Korenman Award for Service in Gender and Women’s Studies. 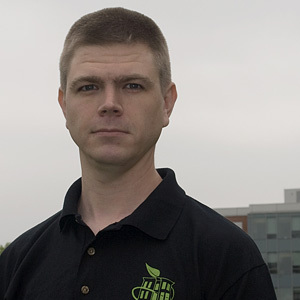 Jeremy Johnson came to UMBC after serving 10 years as an active duty journalist in the U.S. Navy. He was one of over 14,000 service members discharged under Don’t Ask, Don’t Tell (DADT). When the policy was repealed in September 2011, Jeremy became the nation’s first DADT dischargee to publicly reenlist, joining the U.S. Navy Reserves at the same rank he left. On “The World” he said, “I felt forced to write [a resignation] letter because I was compromising my integrity and…being treated unequally. Now that that’s gone, I really don’t see any other barriers…I’m ready to go back.” During his time at UMBC, Jeremy became a leader in Baltimore’s veteran and student-veteran communities. He served as a board member and director of public relations for The 6th Branch, a nonprofit organization that applies the leadership and organizational skills of military veterans to local community service initiatives. With The 6th Branch, he has been particularly active in Operation Oliver, an effort to revitalize Baltimore’s Oliver neighborhood through community art, garbage removal, crime watch and landscaping. Jeremy also serves on the Military Advisory Council of the Servicemembers Legal Defense Network. "UMBC has allowed me to solidify my lock on volunteerism by giving me needed tools and a perspective in sociology that I have been able to use as a member of the veteran-led Operation: Oliver team in Baltimore." Achsah Joseph is deeply committed to global human rights. She is the vice president of Invisible Children United at UMBC, a group that works toward the cause of ending civil war in Uganda. As a CHANGE leader with the non-profit aid organization Oxfam, she has also helped coordinate campus awareness events to educate students about global disparities in food access. Achsah studied abroad in Uganda and Rwanda during her junior year, learning about post-conflict transformation and researching peace-building efforts. She will soon teach English in Malaysia on a Fulbright Scholarship, after which she hopes to work for a non-profit organization addressing human rights issues in East African countries like Uganda, Kenya and Rwanda. "I have truly enjoyed my time at UMBC. Through my peers and faculty advisors here, I have grown tremendously as a person. Attending UMBC allowed me to experience things I never thought I would do, and has deepened my commitment to furthering human rights globally." 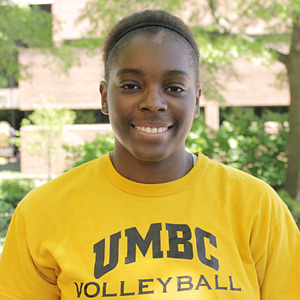 Iman Kennedy was a model scholar-athlete during her time at UMBC, earning accolades for her achievements in the classroom and on the volleyball court. She was named an Arthur Ashe Jr. Sports Scholar by Diverse: Issues In Higher Education magazine in 2011, and this year, she is an Arthur Ashe Jr. Sports Scholar of the Year Finalist. She also was honored with an All-Academic Team Selection in 2010 and 2011, and was named a COBRA Magazine All-Region Team Honorable Mention. Iman completed research alongside Robert Provine, professor of psychology, which gave her the opportunity to co-author journal articles and present original research at professional conferences. UMBC’s Imaging Research Center, a national leader in digital animation, selects a very few students each year to work alongside faculty on its projects. For the past semester and a half, Michelle Martir was one of these students. Through the IRC Fellows program, she participated in an exhibition called "Lost & Found" at UMBC’s Center for Art, Design and Visual Culture and an exhibition called "Chosen Food" at the Jewish Museum in Baltimore. 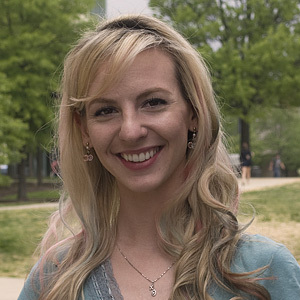 More recently, through the IRC, she contributed to a game called Reverie, which was exhibited at the 2012 Undergraduate Research and Creative Achievement Day. Michelle also worked on campus at commonvision and iNet, where she will continue to work after graduation. Stefanie Mavronis is a Sondheim Public Affairs Scholar who has been recognized for her achievements in both political science (Scholar Leader of 2012) and media and communication studies (Outstanding Student of 2012). Stefanie was a Princeton University Public Policy and International Affairs Junior Summer Institute Fellow—one of just 35 students selected nationally from a pool of over 450. 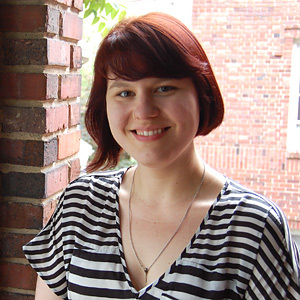 She also received a UMBC Undergraduate Research Award to create a documentary film on new media and indigenous people in La Paz, Bolivia, in spring 2011. She has interned with Maryland State Delegate Mary Washington and the Marc Steiner Show, and has applied her communication skills to USDemocrazy as a student blogger and to commonvision as a project manager. She has been highly involved in the UMBC community, serving as vice president of the Student Events Board and undergraduate representative on UMBC’s Fair Labor Standards Advisory Group. "As a first generation college student, UMBC has really empowered me to have confidence in my academic and interpersonal abilities. UMBC has allowed me to customize my education to fit my needs and desires, and has always embraced my perspectives and differences with respect. Having the opportunity to learn and grow in such a diverse environment has truly changed my life, and I'll carry these experiences with me forever." Kaitlyn O’Donnell is a leader in the UMBC community. During her time at UMBC, she held eight different leadership positions in the Alpha Sigma Alpha sorority. She is also a leader in UMBC’s LGBTQ community, where her activities include being the president of the UMBC Freedom Alliance and twice attending the BMore Proud Leadership Summit. Kaitlyn also served as the president of the American Studies Counsel of Majors starting in her freshman year, stepping down only when she left to study abroad in Wales. A member of the Humanities Scholars program, Kaitlyn participated in internships (including three summers of paid internships through the Community Summer Jobs Program), volunteer experiences, extracurricular activities and part-time work each semester. She is also a member of Phi Kappa Phi, and received their Shirley C. Sorensen Award. Chikezie Okoro discovered his love of science at an early age, and that passion fueled his academic career at UMBC, landing him on both the president’s and dean’s lists. 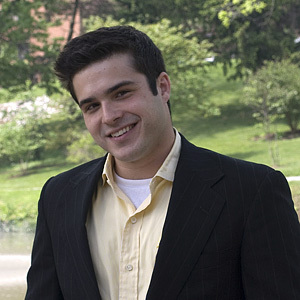 As a Meyerhoff scholar, research was a major component of his undergraduate life. 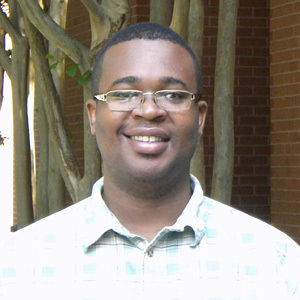 To help fund and further his work, Chikezie received an Undergraduate Research Award for his project "Reverse Carbocyclic Fleximers as a Means of Overcoming Drug Resistance,” and he was a recipient of the chemistry department's Vitullo Award for Undergraduate Research. 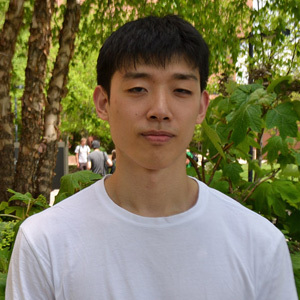 Daniel Park’s performance at UMBC earned him many accolades, culminating in a full-time position as a software engineer. He has been on the dean’s list and honor roll, and earned a number of scholarships including the Edward Kasemeyer Senatorial Scholarship, the Dean's Scholarship, the James E. Malone Delegate Scholarship, the Steven Deboy Delegate Scholarship and the Columbia Foundation Troph Scholarship. Daniel is also a member of the Golden Key International Honor Society and earned a Baltimore Community Service Award. While at UMBC, he also became a Certified packetC Language Programmer. “UMBC has taught me how to learn. I feel prepared to go out to the "real world," to take on tasks and apply the knowledge and concepts I learned as an Undergrad. The different organizations at UMBC also work extremely hard to present opportunities for students. I feel proud to have graduated under the leadership of Dr. Hrabowski at UMBC and with a bachelor's in the equally-passionate department of Computer Engineering." Danielle Polite-Bowles did not let adversity deter her from earning her UMBC degree. In 2004, Danielle was diagnosed with Crohn’s disease, leading her to withdraw from UMBC in 2005. In 2009, with her symptoms under control, Danielle returned to UMBC, only to develop neurological issues. In 2010, she began alternative medications, and her symptoms have been controlled ever since. She has attended UMBC part-time while working as a certified optician and raising two children with her husband. Danielle has worked as a desk staffer and resident assistant at UMBC, and hopes to one day conduct research on parenting skills in at-risk demographics. As a mechanical engineering student and Meyerhoff scholar, Luke Justin Roberts was published in the Institute of Electrical and Electronics Engineers Engineering in Medicine and Biology Society (EMBS) Conference. But his talents aren’t limited to academia: Luke also won the YOBISing international online songwriting contest, which earned him VIP Grammy tickets, a trip to Los Angeles and $18,000. Writing and performing music has always been one of his passions, he says, especially when it comes to playing the drums. 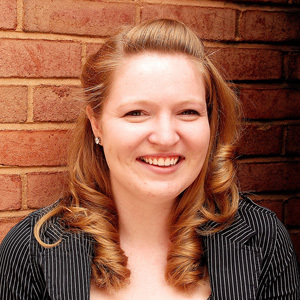 When Rachel Robinson first enrolled at UMBC over 10 years ago, she performed, as she puts it, “at best mediocre… at worst horribly.” After a long hiatius, she returned “with a vengeance,” earning a 3.8 GPA after her return. Her mentor, Germán F. Westphal, associate professor of Spanish, says that she has “performed on a high level of intellectual sophistication --actually on an advanced graduate level.” She presented at Undergraduate Research and Creative Achievement Day and traveled to Valparaíso, Chile, with Westphal to present research at the SOCHIL (Chilean Society of Linguistics) conference, for which she received a travel grant from UMBC’s office of undergraduate education. Rachel has achieved all of this while married with a 3-year-old son and working full time at UMB, but she has no plans to stop her education anytime soon: she’s currently in UMBC’s accelerated bachelors/master’s program for ESOL, and plans to eventually get a Ph.D. in the field. As the captain of UMBC’s baseball team, Curtis Schickner has academic achievements to match his athletic ones. Curtis is Vice Chair of the NCAA’s Student-Athlete Advisory Committee, was named to the America East Conference All-Academic Team, is a member of the Chi Alpha Sigma National College Athlete Honor Society and received a Leon Upshur Memorial Award. 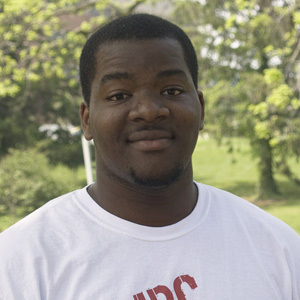 An English minor, Curtis is a member of the Omicron Delta Epsilon International Honor Society for Economics and received the 2011-2012 Student Affairs Leadership Award. 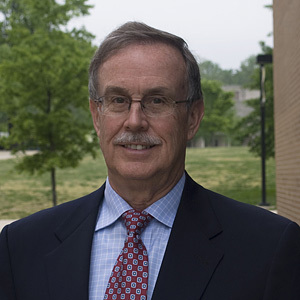 Jim Scott began taking graduate courses at UMBC in 2003, after retiring from a successful career. What started as a hobby soon became a serious passion, with Jim pursuing an M.A. in Historical Studies and then a Ph.D. in Policy History. 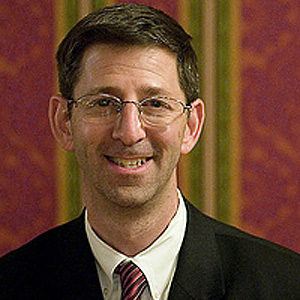 His dissertation examines the role that the U.S. Congress played in shaping the emergency shipbuilding program during World War II. In his nine years at UMBC, he has worked as an adjunct instructor in interdisciplinary studies, history and political science; served as a Graduate Student Association senator; and advised students in interdisciplinary studies. "What has made the most striking impression on me has been the intellectual quality of UMBC’s student body. Every year I come away from URCAD feeling good about the future of America. I do not think young people today get enough credit for their commitment to research and learning and their desire to make the world a better place." While at UMBC, Patrice Stark has prepared herself for a bright future as a researcher and leader. 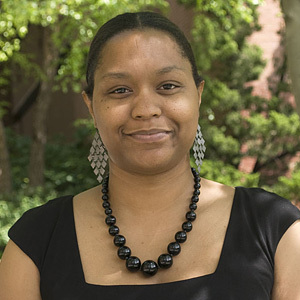 A Meyerhoff Scholar, Howard Hughes Medical Institute Scholar and MARC U*STAR Trainee, Patrice has received awards including the Robert and Jane Meyerhoff Award, the Mittino Award for Chemistry Service and the award for Outstanding Commitment to Research. She is a member of the National Society of Collegiate Scholars and the Golden Key International Honor Society. In addition to being an outstanding scholar, Patrice takes the time to help her peers reach their fullest potential. 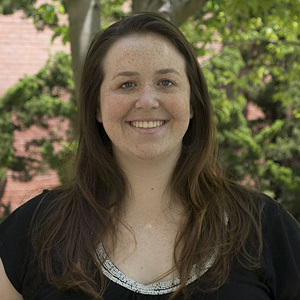 A member of the Meyerhoff council, she has served as an academic coach and academic tutor, and has tutored her fellow students in both biology and chemistry. Patrice has worked on research projects with UMBC faculty since her senior year of high school, with her study focusing on vaccines for the HIV virus. She has also presented at a number of conferences, and will attend the 62nd Meeting of Nobel Laureates this summer. The UMBC community has benefited from Rita Turner’s study of sustainability in academic curriculums. 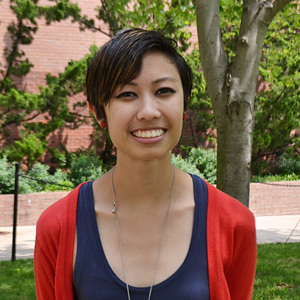 As part of her dissertation, Rita designed and evaluated a course entitled “Sustainability in American Culture,” which she has been teaching as part of the first-year seminar program at UMBC for four semesters. 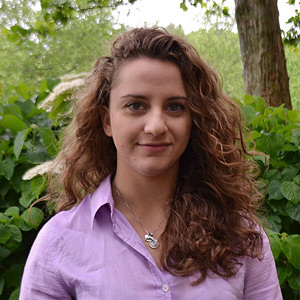 In addition to her work at UMBC, Rita has published articles in peer-reviewed journals and presented at a number of refereed conferences. Additionally, she will be giving an upcoming professional development talk at CCBC Essex on linking environmental issues to interdisciplinary classroom content. David Schultz, professor of psychology and one of Meg Viar’s mentors, says that of all the students who have worked on his research and intervention team over the past nine years, Meg is the most promising as a future leader in education or psychology. Meg transferred to UMBC from MICA in 2010, and has never looked back. She served as an undergraduate member of the UMBC Institutional Review Board and is a member of Phi Beta Kappa. 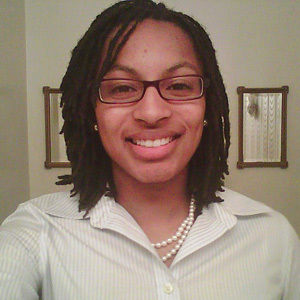 She was named the UMBC Scholar in Psychology, is a Truman Scholar Nominee, and received an Undergraduate Research Award. A print media minor, Meg also taught art courses for children and served as a guide at the Walters Art Gallery. 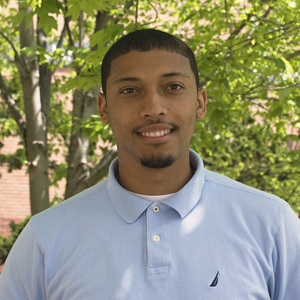 While at UMBC, Orrette Wauchope followed his interest in organic chemistry as a Meyerhoff graduate fellow, publishing several research articles in chemistry journals detailing his research. Orrette also is a Chemistry-Biology Interface Fellow and the inaugural Wyeth Pharmaceuticals/UMBC fellow, a position that supports talented students conducting research in fields of joint interest to UMBC faculty and Wyeth scientists. During his time here, Orrette served as a senator and treasurer for the UMBC Graduate Student Association. Ryan Wentworth has completed five internships while at UMBC, with notable financial firms such as Booz Allen Hamilton, T. Rowe Price and Morgan Stanley, where he will work as an operations analyst following graduation. He has been very involved in the economics department, serving as president of the Economics Council of Majors and receiving the 2012 Department of Economics Chairman's Award and 2011 Distinguished Service in Economics Award, among other honors. At Undergraduate Research and Creative Achievement Day, Ryan presented “The Effects of Rebalancing Frequency on Portfolio Performance,” for which he received an Undergraduate Research Award. Ryan plans to pursue an MBA after gaining work experience in the financial sector. "The Office of Student Life at UMBC says to ‘Make UMBC Yours!’ UMBC does a great job of presenting every student with the opportunity to do so. I have found a great sense of community through my involvement at UMBC, which has helped me develop into a confident and skilled individual who is ready to tackle any task I encounter. UMBC has done an excellent job in preparing me for the life I have ahead of me." 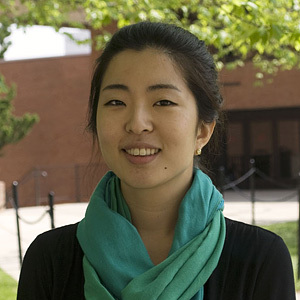 Yeji Yoon is an integral part of the department of education at UMBC. She has been the graduate assistant for the office of field experiences and clinical practice since spring 2011, as well as worked as an English instructor at the English Language Institute. Yeji has served as the MDTESOL graduate student IS chair since fall 2011, and organized the MDTESOL 5th Annual Spring Graduate Student Mini-Conference. The education department won’t have to give her up yet: she plans to spend the next year working in the department before heading to Kenya to serve as an English teacher.